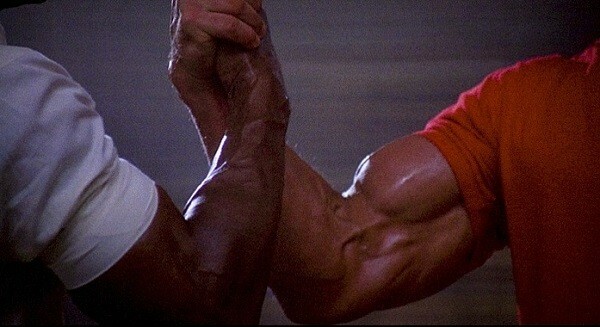 Predator is considered one of the cultural touchstones for any geek to experience. With awesome one-liners like “I ain’t got time to bleed” and “Get to da choppa!” (The latter delivered in your best Arnie impression), it presents itself as a plain old action flick but for one ace in the hole; the alien antagonist. The Predator alien is a being which has a strong onscreen presence which is no small feat, considering it’s invisible for most of the time. The monster has earned its place in a number of sequels, video games, and crossovers with other sci-fi franchises. I was excited to see In The House screening the original the film at George St cinemas. I was even more excited to hear that along with hosts David ‘Quinny’ Quinn and Jason ‘Jabba’ Davis; the cinematographer for Predator, Don McAlpine was an honoured guest who came in to speak about film. After the screening, there was a Q&A with Mr McAlpine, a seasoned veteran of Hollywood, which I very much enjoyed. McAlpine was a man of few but blunt words and he openly admitted that he was surprised by the film’s cult following. Although he deliberately avoided saying anything incendiary or scandalous, the anecdotes he did share were all exciting and informative of the process behind the scenes. I only hope that In the House can again succeed in finding interesting guests like McAlpine to complement their regular roster of personalities. The story is an action movie classic. The protagonists are green berets deployed as a part of a covert operation into an unnamed Latin American country to rescue a high value target. Things go pear shaped as the team realise that the jungle they’re trudging through is inhabited by more than snakes and guerrillas. As they work out that they’re being stalked by an invisible and alien enemy, the stage is set for confrontation between action movie brawn and sci-fi alien technology. The premise is simple and works to get all the players where they need to be for the action to happen when it needs to. The story is somewhat bogged down with unnecessary sub-plots concerning the protagonists being duped by their superiors into doing the mission but that largely gets wrapped up in the latter half of the film. In the discussion with Don McAlpine we learnt that there wasn’t much of a script for the cast and crew to work with, which certainly comes through in the disjointed acts of the main narrative and retroscripting (where the script gets ad libed by the actors) definitely explains some of the films cringeworthy/awesome dialogue and one-liners. The acting from the entire cast is pretty much as camp as it gets with the protagonists being portrayed by the likes of Shane Black, Jesse Ventura, Bill Duke, Carl Weathers, and the ever popular Arnold Schwarzenegger. No character appears to exist beyond the first-dimension but, to be honest, I’m not sure that more in-depth characters would have added all that much to the film or that all of the cast would have the chops to pull out something more complex. What this film lacks in Oscar winning performances, it makes up for with testosterone by the tonne as the protagonist beefcakes blast their way through the jungle. The big draw card here is very much the near-brainless action. The film features action scenes which have muscle-bound men shooting, stabbing, and destroying everything around them. It gets the blood-pumping and certainly entertains in a visceral rather than cerebral manner. The last act does have the tension pick up significantly as one of the protagonist beefcakes takes on the eponymous ‘Predator’ one-on-one. The enigmatic ‘Predator’ alien is certainly the film’s big attraction and what elevates it from rudimentary action flick to something quite special. The idea of a technologically and physically superior lifeform hunting us for sport touches upon those primal fears we have of being followed by a force we cannot see. It’s an interesting sci-fi concept which the movie plays with to a certain degree and although we don’t actually get too much screentime with them, they’re still very well characterised by Kevin Peter Hall… although to be honest, I think the suit did a lot of the work. The film is very well shot and directed in its efforts to showcase the action sequences. You get a tangible sense of space as the characters move through the thick jungle. This helps the audience keep up with the action even as the camera changes perspective quickly between various angles and characters in a very short space of time. The film develops a very fast beat as the shots change quickly from action and reaction; cause and effect. The director also counterbalances these moments with a much slower pace to build up tension between these moments (and to give the audience some breathing space). The creature design for the Predator alien is pretty dang awesome, and it’s easy to see how it’s become so iconic. 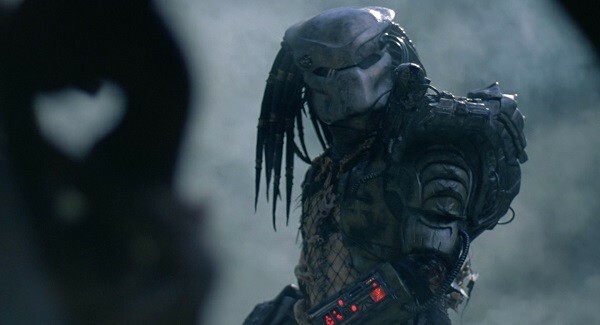 At first the ‘Predator’ appears to be quite humanoid in his appearance but in the last act, we see it remove its mask and reveal its truly alien visage. 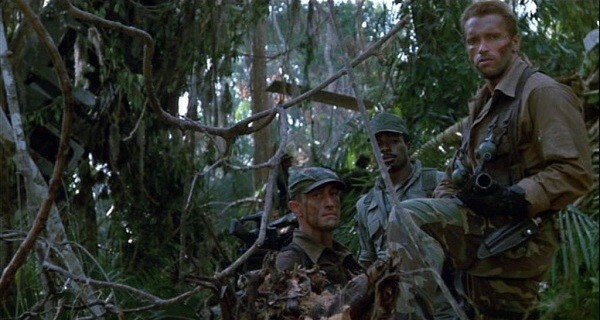 The ‘Predator’ vision is especially interesting as one of the films standout visuals where we see the protagonists from the alien view of the being that hunts them. It appears to be an alien form of infrared (which was actually computer generated) and it gives an uncanny view of the world through its filter. The film’s audio design is largely solid. The soundtrack is orchestral and matches the thematic tones of the various scenes, so there’s nothing out of pace. It’s solid but not quite memorable to any significant degree. 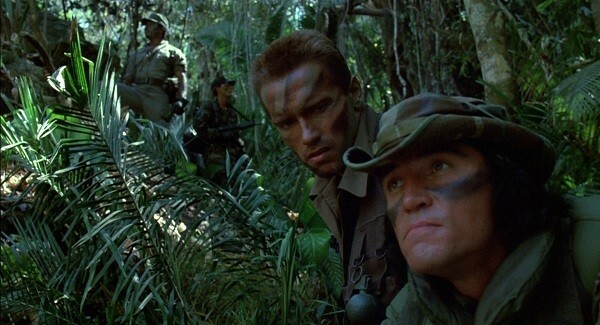 The audio work for the ‘Predator’ sequences matches its visual design in that it is quite iconic. The diegetic sound of the ‘Predator’ processing, recording, and playing-back conversations the human characters have which each is one of the creepier high points in this film for me. The actual sounds of the predator alien proper are pretty awesome too, as we hear its alien chittering, screams, and yells during a couple of instances in the film. This is the quintessential, non-cerebral, 80s action popcorn film, as McAlpine himself pointed when discussing his opinion of the film during production. Its story simplistic and shallow but largely works in linking together the action. 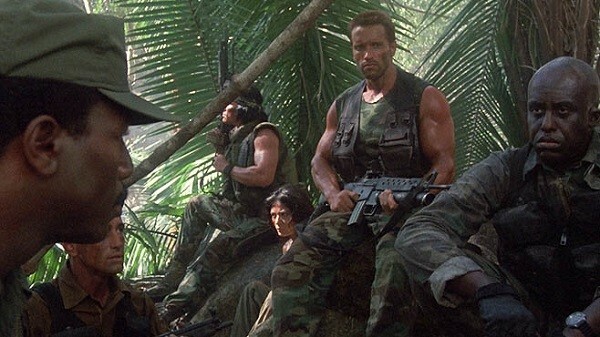 What makes Predator stand out from the rest of the flak that came out the year it did was that it had one of cinemas most iconic sci-fi monsters squaring up against the beefcakes. Everything about the alien antagonist, from his creature design to when we are actually shown their perspective, is imaginative and uncanny in an entertaining way. 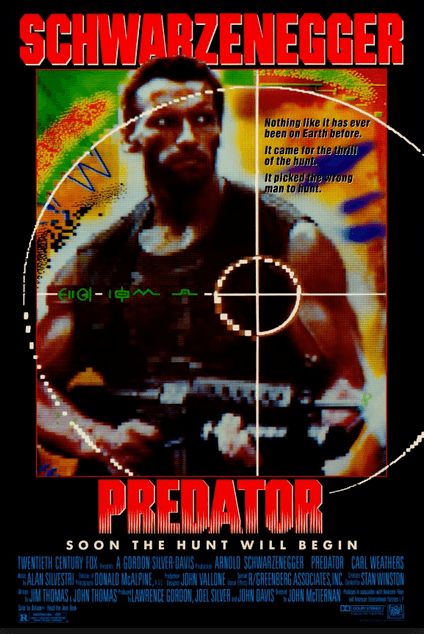 The eponymous Predator is what makes this film a must-see for any sci-fi and action geeks.